Like e-mail filters, for your files in the cloud. 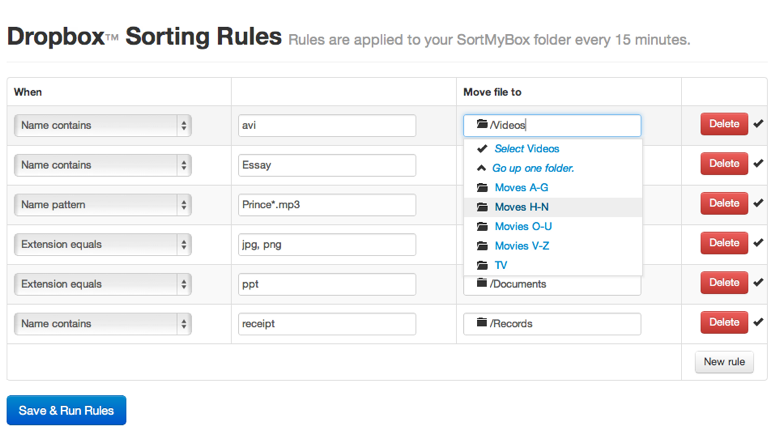 SortMyBox is a magic folder that moves files to folders based on your rules. Your credentials are encrypted and we never store your files. SortMyBox is free & easy to use! Choose from among three types of rules and pick the destination folders using our convenient file explorer. Our FAQ has more info on rule types. 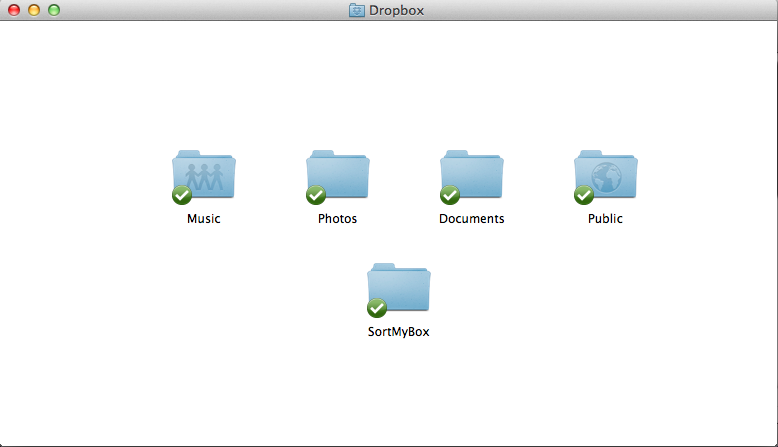 SortMyBox lives inside your Dropbox/Box. Save your files here and they will get sorted every 15 minutes. SortMyBox is a magic folder inside your cloud storage folder. Save new files there and we will move them based on rules you create. Like e-mail filters, for your files in the Cloud.